Is Reshoring the way to increased World Competitiveness? 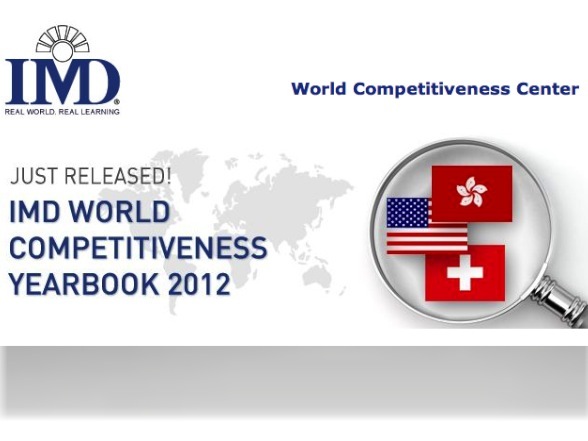 On 31st May IMD announced the findings of its annual World Competitiveness Yearbook (WCY). 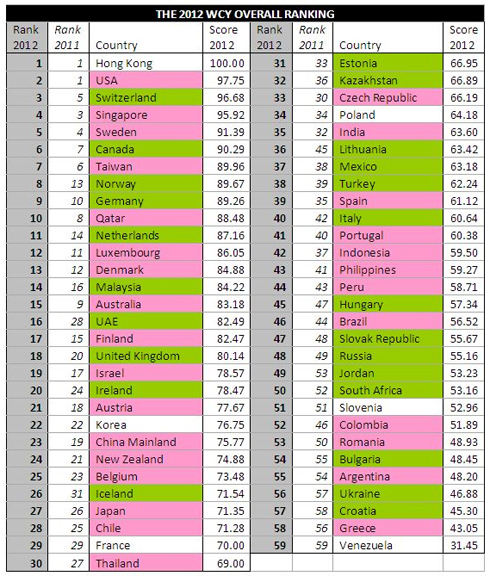 The WCY rankings measure how well countries manage their economic and human resources to increase their prosperity. Here are the summary results for the UK and the US. “Service competitiveness and the ability to integrate and manage a global business model were at the core of the competitiveness of Europe and the US. However both regions have lost 20% of their industry in 20 years, thus creating a higher level of permanent unemployment. Companies reassess extreme outsourcing and delocalization. 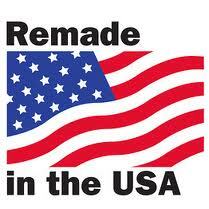 “Reshoring” and re-industrialization become an economic and political priority. There is no competitiveness without a sound manufacturing base”. So like Manufacturing jobs will Information Technology Outsourcing and Business Process Outsourcing jobs reshore? Outsourcing Service Providers have been landing staff in the US and the UK for years. What has changed is that the Visa Entry Criteria has been turned up a few notches on the dial. Individuals must have niche skills which are in short supply. This does not explain the hundreds of staff at one Retail Bank who are providing commodity Testing Service onshore. She serves Sourcing and Vendor Management Professionals. “Forrester clients should act now to help solve this problem. Encourage your vendors to hire local for local positions and invest in training those locals. This will solve your context and requirements problems, your visa problems and the improvement in productivity will make up for any price increase related to local labor”. Reshoring of ITO and BPO jobs is already a major issue in the US presidential election debate. Political will is setting the agenda for increased investment in job creation. The Indian Pure Plays, IBM, Accenture etc. will all have to invest in more positions being based locally at client site. At the end of March 2012, the BBC reported that “the UK economy will contract in the first three months of 2012, taking the country back into recession, according to the Organisation for Economic Co-operation and Development (OECD)”. Given the UK Economy reliance on Services jobs it appears that we are in need of a shot in the arm to kick start growth. Reshoring technology and knowledge worker jobs back to the UK may not make a material difference to the position of the UK in the WCY Ranking for 2013 but it feels like the right thing to do. Investing in Training and Career Development of graduates with intellectual firepower must be more important than chasing alpha / mammon.